I have an ongoing breakfast dilemma. First of all, it’s hard for me to get started in the morning. I am a slow waker-upper. Also, I am just not very hungry when I wake up. Nevertheless, I know it’s important to start with a good breakfast. And, finally, I need something fast because my kids are up very early every day, regardless of whether they have school or school vacation. I’ve been reading a lot about the power of green smoothies. These drinks are usually made with green raw leafy vegetables—such as spinach, kale, Swiss chard, collard greens, etc.—and fruit(s)—such as oranges, kiwis, apples, etc. They’re high in fiber, low-calorie, and rich in vitamins and nutrients. The other day, I decided to dump a bunch of ingredients into my blender, and it came out delicious. So I thought I’d post it. It is chock full of vitamins and gives you a full day’s worth (5 servings) of fruit and vegetables in a single blender. I had a glass then put the blender in the fridge and had the rest midmorning. I have a feeling I’m going to be making more of these smoothies, so I named this recipe #1. Try it! 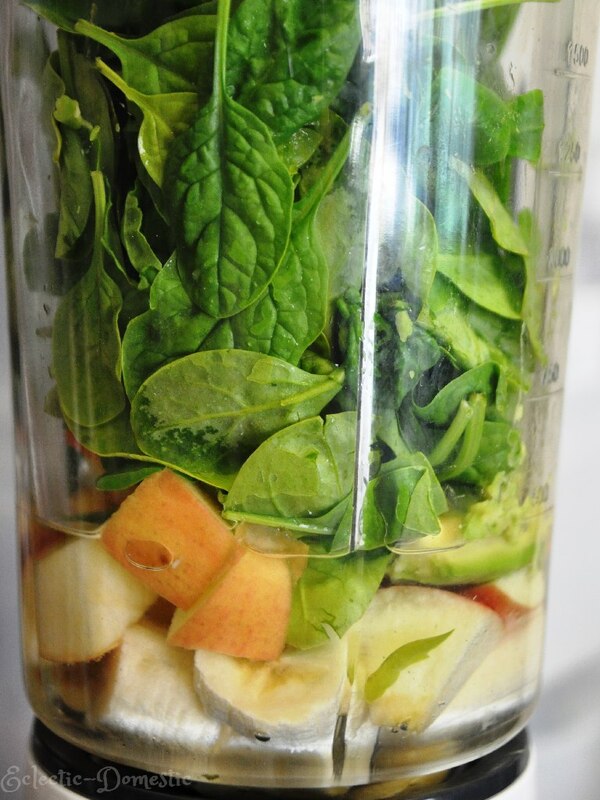 Your tongue won’t believe your eyes that there’s spinach in here. Put all of the ingredients into your blender in the order listed. Variations: add some mâche leaves, a dash of lemon juice, some mint, or some ice cubes. Looks delish. Love the photos too. In the USA there’s a bottled product called “NAKED” and your smoothie looks just like one of theirs, and I like yours better (!!!). 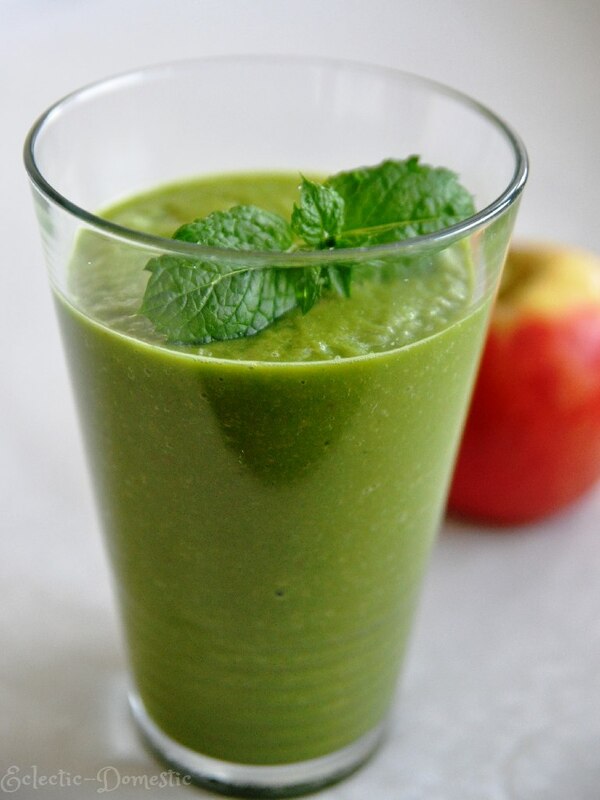 A great reminder of fresh greens and healthy foods and the power of the blender. THANKS! Great. I hope you try it and like it.